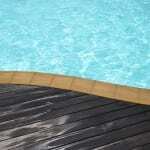 We carry pool products in the Hickory, NC area from quality suppliers and have everything you’re looking for and more! 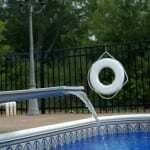 Pool Products in Hickory – When you shop for pool products, finding exactly what you’re looking for is easier said than done. Fortunately, you have us at S & H Pools to help you out. At our store, which serves the Hickory, North Carolina area, we carry pool products from quality suppliers and have everything you’re looking for and more. 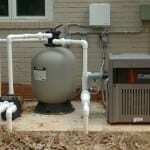 We carry swimming pool heaters, swimming pool covers and liners, pool pumps, pool vacuums, swimming pool toys, swimming pool chemicals, and much, much more. Basically, we have everything you need to help you keep your family swimming throughout the year. We realize that, especially if you’re new to caring for a pool, buying the right pool products and chemicals to use can be a bit overwhelming. This is why you shouldn’t buy your pool products anywhere else – our extensive experience in the pool industry allows us to give advice you can trust. When you stop by our retail store, you’ll quickly notice that there’s something different about the way we do business. This is all thanks to our commitment to excellent customer service and to our business’ strong foundation that was built on personal integrity and Christian morals. Stop by and see us at S & H Pools today to explore our selection of pool products and to receive expert advice about keeping your pool in pristine conditions at all times. We are eager to earn your business and look forward to going above and beyond your expectations when you come in to purchase supplies for your pool.